When it comes to Kate Winslet, her most iconic relationship will forever be her onscreen love tango with Leonardo DiCaprio in James Cameron’s Titanic. It was an emotional relationship with lasting internet meme potential. However, while she has a lasting relationship onscreen that will live long, her real-life relationships haven’t enjoyed a similar tale. She has been married three times, with her current marriage being to Ned Rocknroll. Once you get past the strangeness of his name, Ned Rocknroll is a handsome man who happens be a top official at one of the few companies planning to make space exploration a vacation trip for regular human beings, Virgin Galactic. Learn more about Ned Rocknroll below. To those who might be wondering if his parents actually did name him, Ned Rocknroll, they didn’t. Before his parents got separated, they named him Edward Abel Smith. His parents were Lindy Branson and Robert Abel Smith. His mother is a sister to the famous Richard Branson, the billionaire, and owner of Virgin Atlantic. He is a regular person who simply happened to have a billionaire uncle before he met Kate Winslet, not much is known of his background. Nothing about his education nor about his siblings. We only happen to know that after the separation of his parents, he was raised by his mother and a stepfather, Robin Brockway in Parsons Green, South-West London. Ned Rocknroll was born in 1978, with the specific date unknown. Despite the lack of detail surrounding his education, Ned Rocknroll is the Head of Marketing Promotion and Astronaut Experience at Virgin Galactic. Although the position, according to the company’s website is not considered one of the most important as he does not feature in the company’s profile of Meet The Team. He changed his name to Ned Rocknroll as a form of protest against what he considered an overly serious society. His insistence of constantly having fun led him to change to RocknRoll, having previously tried to let go of a surname completely. Whatever Ned did after graduation, if he attended school, is unknown. The earliest detail about his personal life was in 2006 when he met a British socialite, Eliza Pearson. The story of their relationship defines the kind of person Ned Rocknroll is considered to be, which is a playful, spontaneous, and deeply unconventional man. Having made out with Eliza Pearson, shortly after they met, he invited her to her uncle’s private island, Necker, on the following day. The two stayed a week on the private land and began what was to be two years of dating before they got married in the Caribbean Island in the late summer of 2009. The marriage ended as quickly as it began, with the couple getting divorced two short years after. The divorce was made official in June 2011. 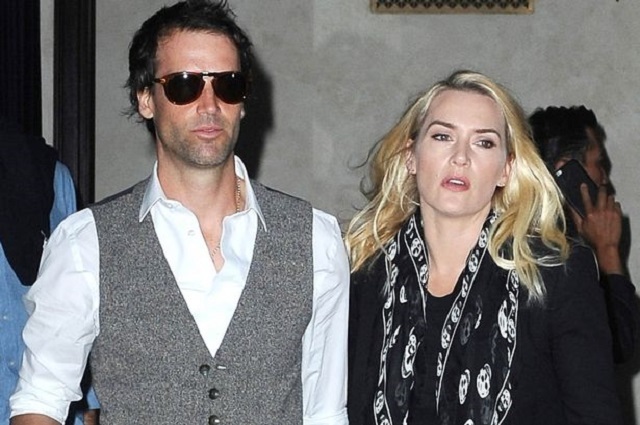 There are rumors that Kate Winslet was a factor in the couple’s divorce. While there is certainly no way of confirming that, it is certain that he met Kate Winslet before he divorced his wife. Soon after the rumor went viral, in a short while, Kate and Ned started dating. The two seemed to be a perfect fit for each other in terms of their disregard for the conventional as both of them got engaged secretly. 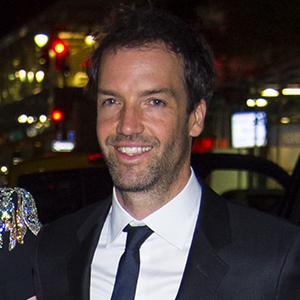 Kate Winslet, especially, kept the secret all the way to their marriage in December 2012 in New York. One person who was in on the secret, however, was Kate Winslet’s Titanic lover, Leonardo DiCaprio who walked her down the aisle. For Ned Rocknroll, despite the speed at which everything has happened, it has been a happy marriage thus far. The couple currently lives in West Wittering, along with their children, which alongside his stepchildren from Kate’s previous marriages, is their child, Bear Blaze Winslet who was born in 2013. See Also: James Charles Biography, Net Worth, Brother – Ian Jeffrey, Is He Gay? While it is difficult to ascertain what exactly Ned Rocknroll does, despite the title he has at Virgin Galactic, being the nephew of a billionaire certainly has its perks, such as investment opportunities and startup capital. Through it and more, Ned Rocknroll has been able to build a net worth of $25 million. His wife, Kate is presumably worth $20 million more.